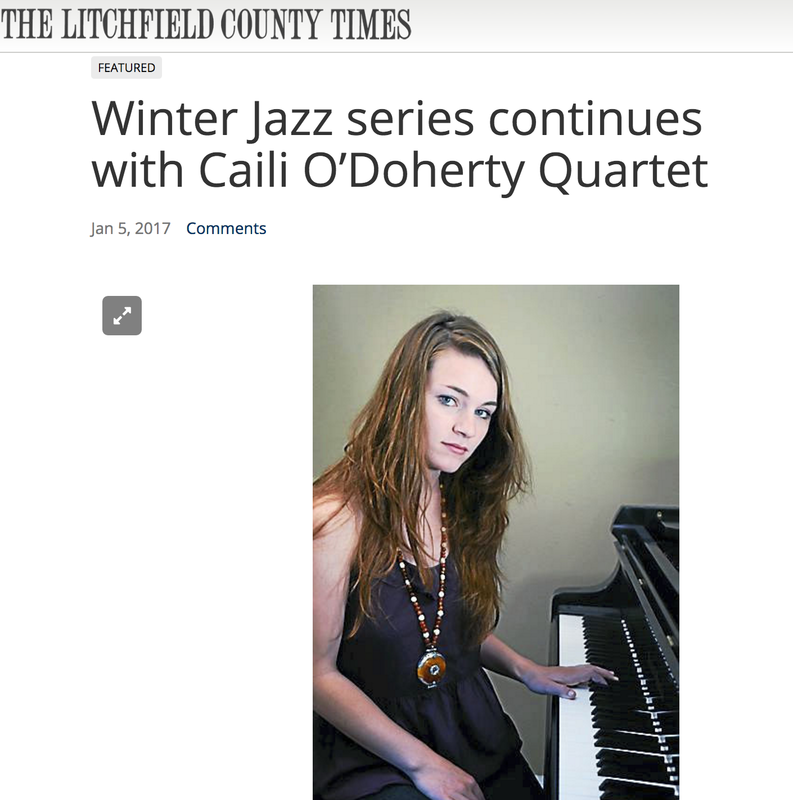 Caili O’Doherty Quartet live at The Palace Theater – Poli Club in Waterbury, CT on Friday, January 27th 2017. 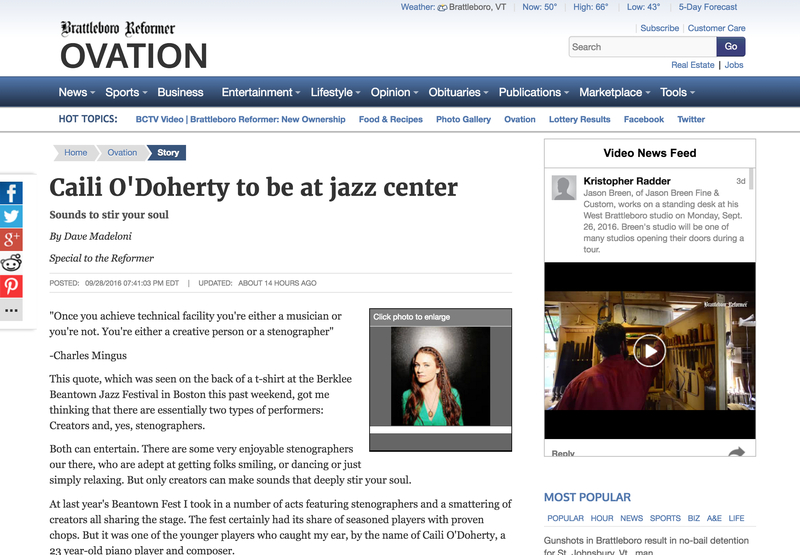 Gig preview written in the Litchfield County Times. 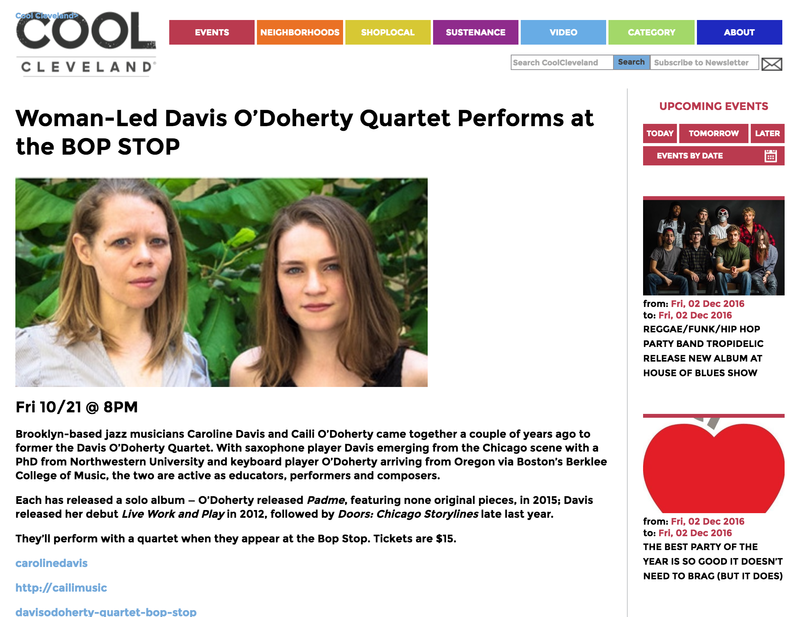 Davis + O’Doherty Quartet Gigs preview in Cool Cleveland for our shows last month at the Bop Stop and Nighttown. 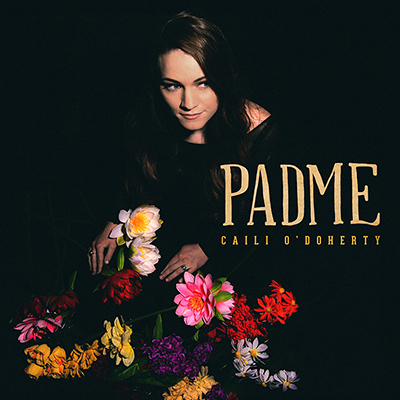 I had the pleasure of recording on Juan Carlos Polo’s debut album “Insomnio” last April with Juan Carlos Polo on drums, Tamir Shmerling on bass and special guest Wayne Tucker on trumpet. 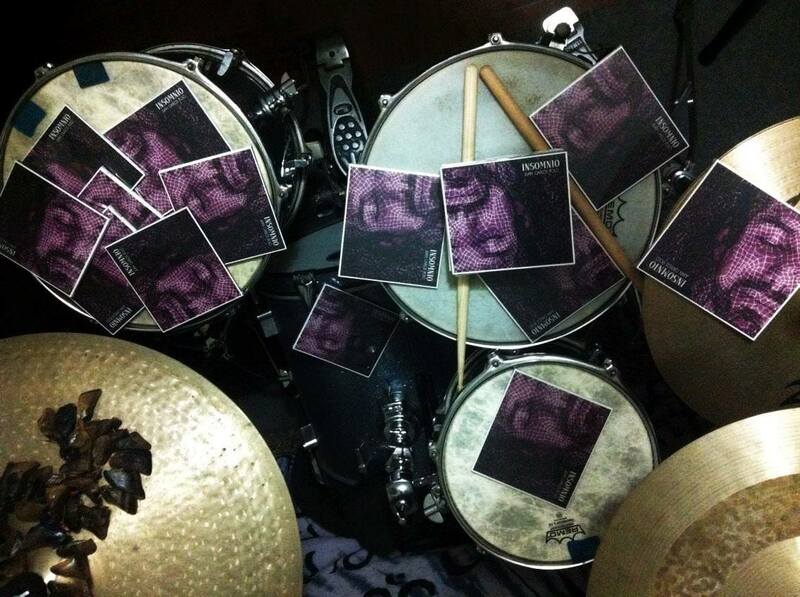 The CD was released on Nov 3rd and is now available for sale on iTunes, Amazon, Google Play, emusic, hmv and 7digital. 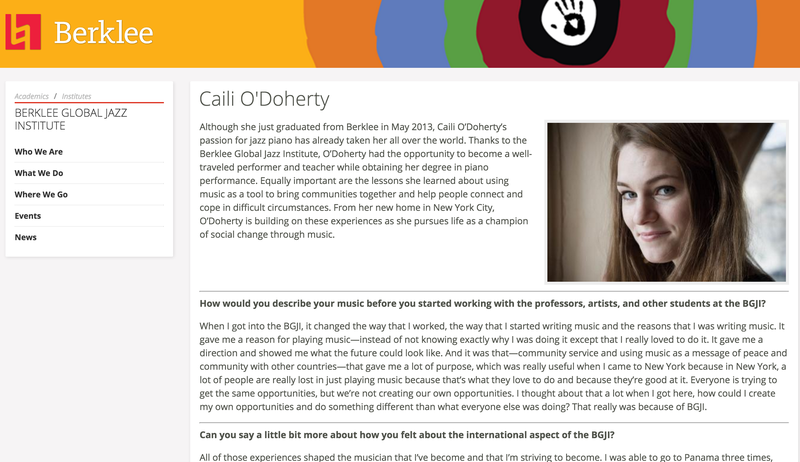 Featured on the Berklee Global Jazz Institute website with a brief interview on my experiences in the program and how it influenced my life and music. 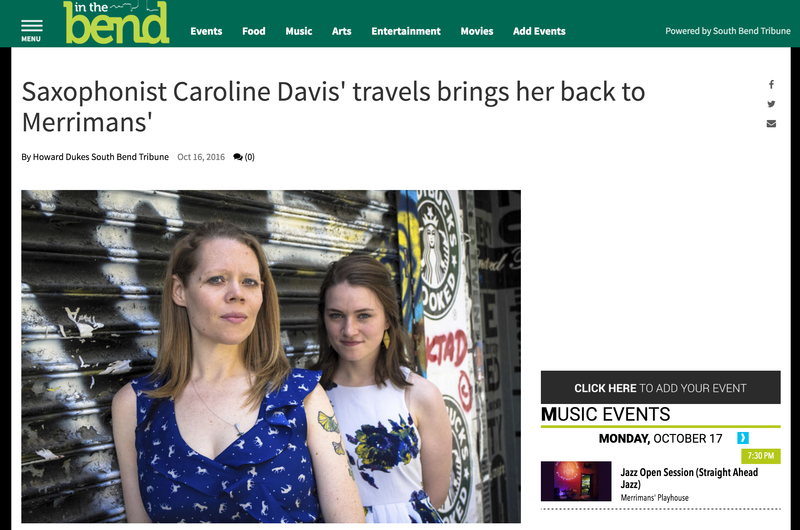 Another gig preview in the South Bend Tribune about our gig at Merrimans’ Playhouse in South Bend, IN on Oct 22nd. 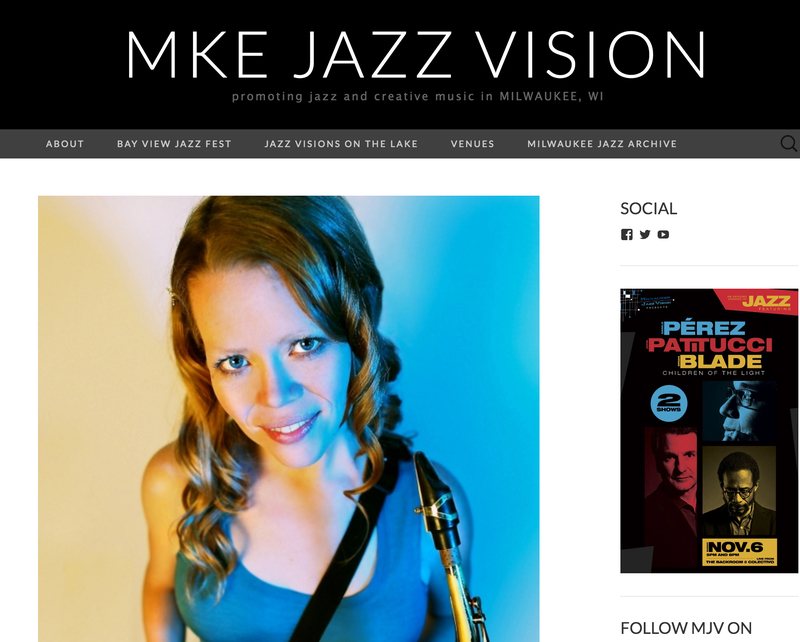 New gig preview up on the Milwaukee Jazz Vision website about our gig at Company Brewing in Milwaukee, WI on Oct 26th. 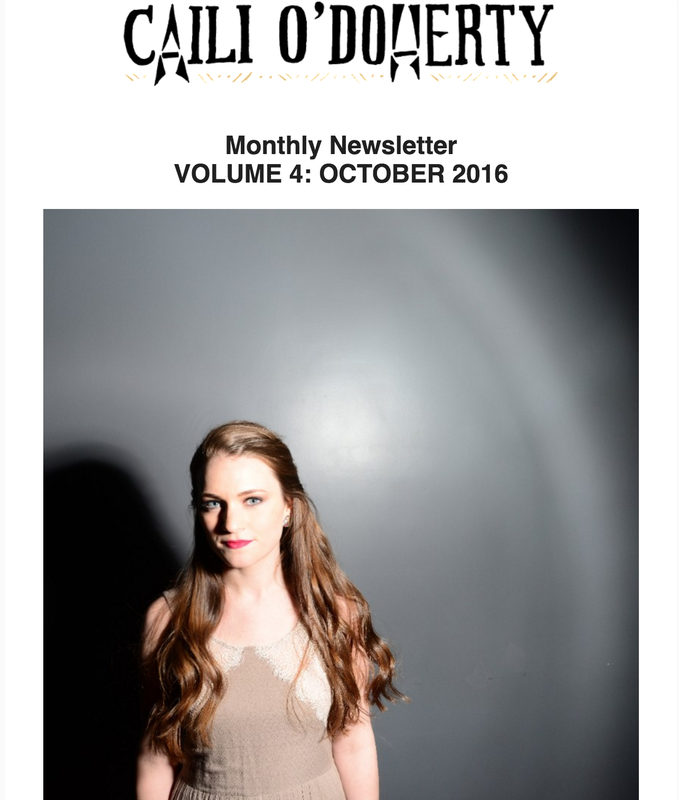 If you’re not on my mailing list, you can subscribe via the “Subscribe” link at the bottom of the newsletter or by scrolling down to the bottom of my websites homepage. 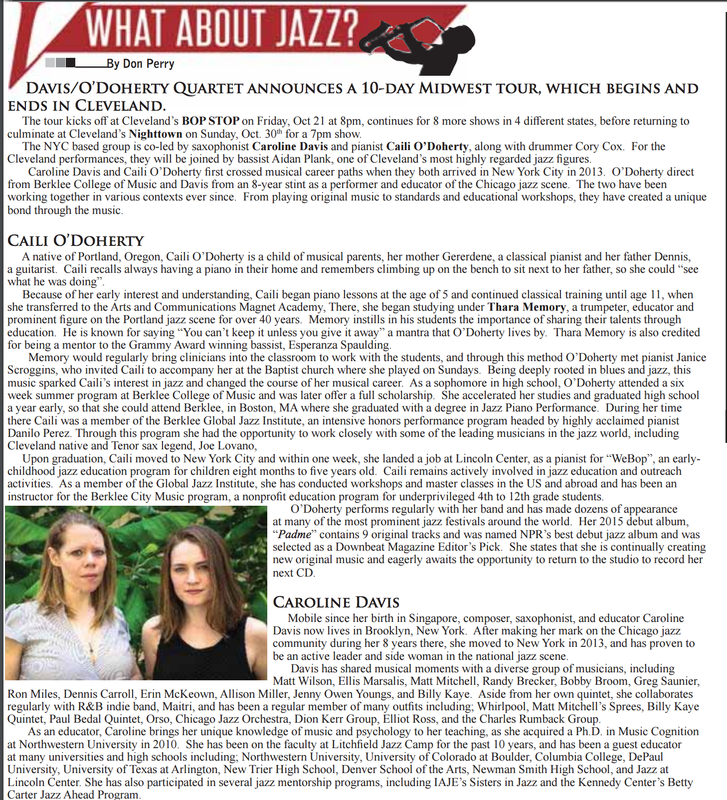 Check out this preview for our Cleveland, OH shows in North Coast Voice Magazine (page 5)! 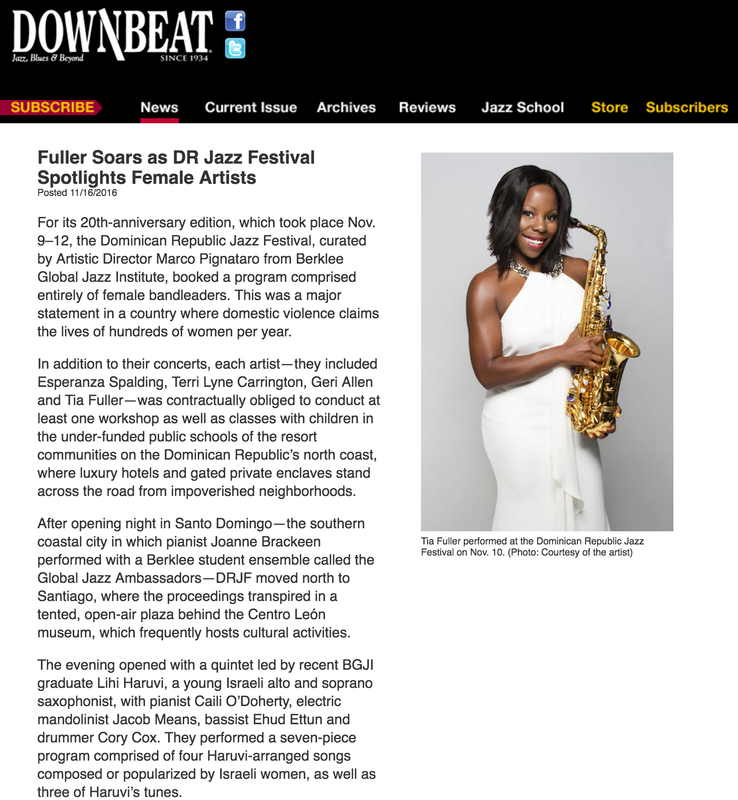 Check out this gig preview in the Brattleboro Reformer of our gig at the Vermont Jazz Center on Saturday, October 1st at 8pm. Thanks to writer Dave Madeloni!